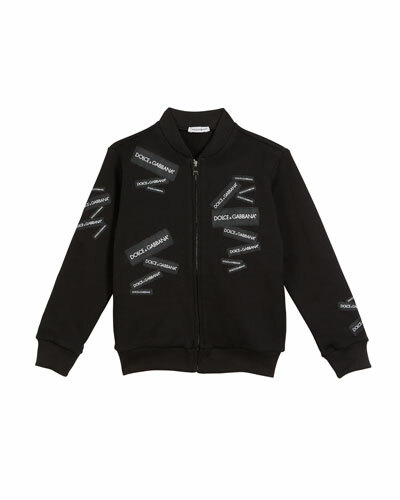 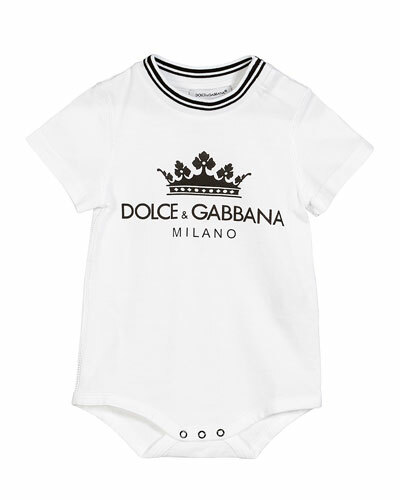 Designers Domenico Dolce and Stefano Gabbana show the same extravagant flourish they’re known for in their new collection of Dolce & Gabbana kids’ clothing. 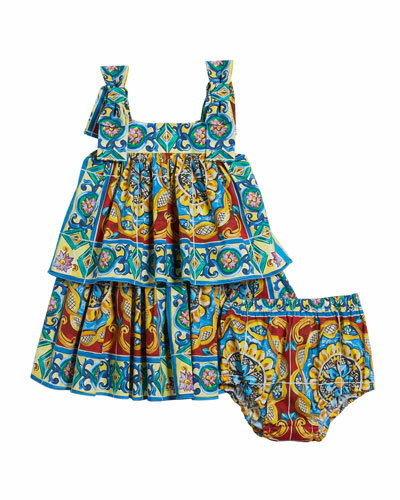 Many familiar prints find their way into the collection of clothing for little ones. 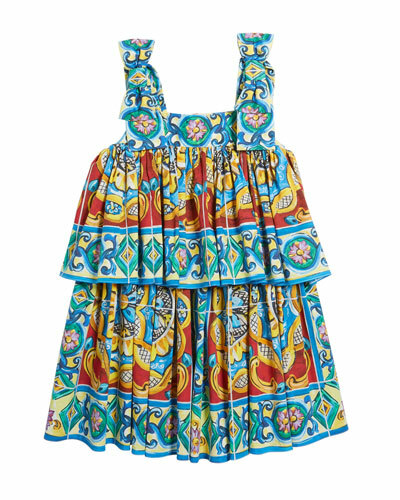 The collection at Neiman Marcus features a poplin playsuit in floral majolica tile print, footie pajamas in leopard print, tank dress in banana leaf print, and more. 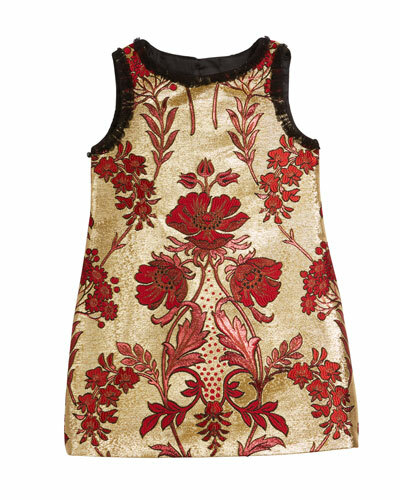 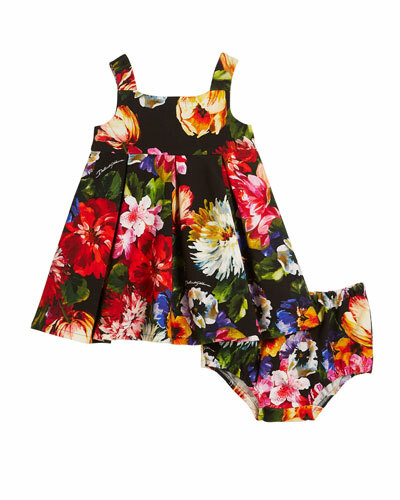 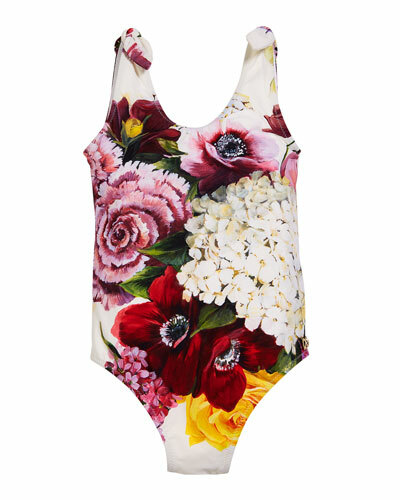 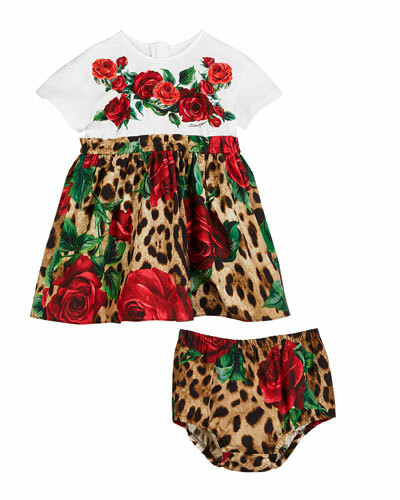 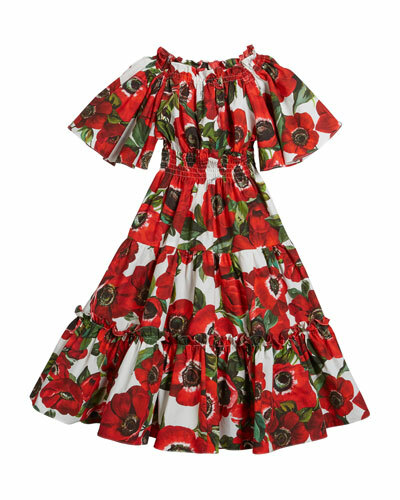 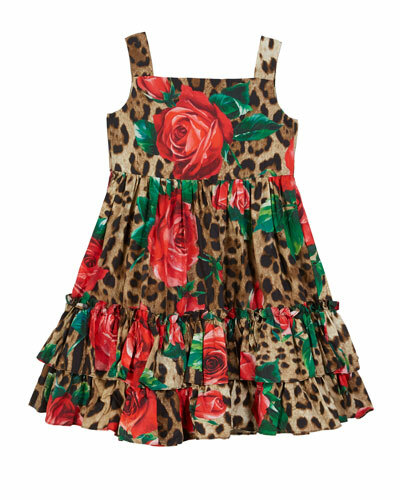 Floral, botanical-themed and animal prints rule the Dolce & Gabbana kids dresses, tees, pajamas, and playsuits. 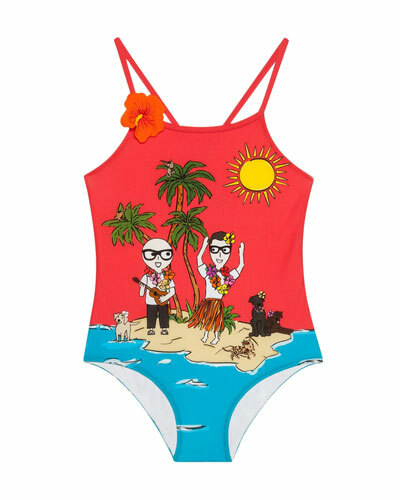 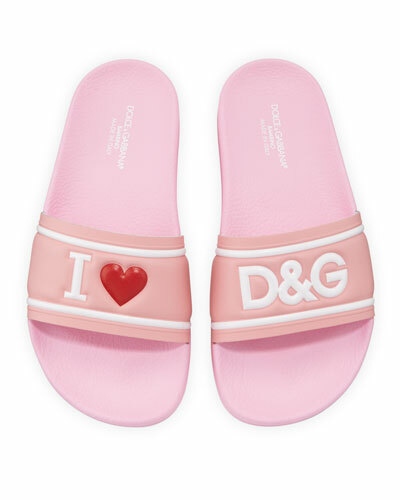 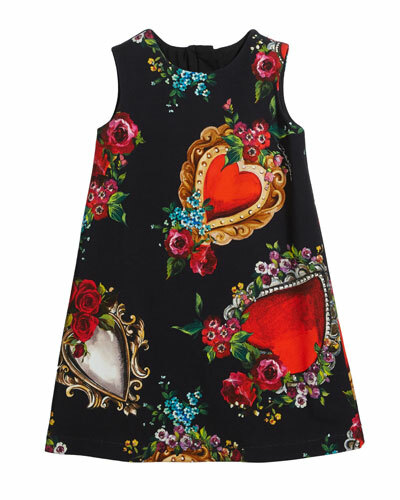 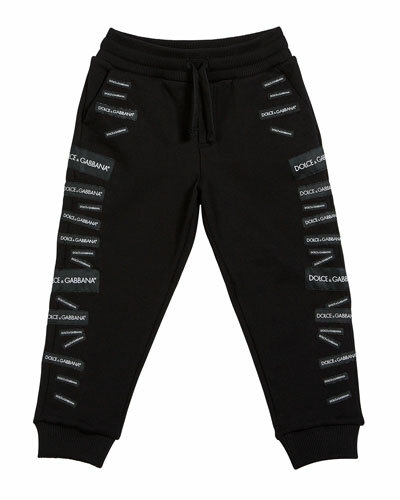 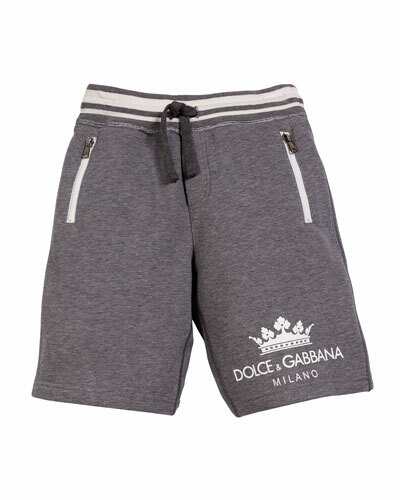 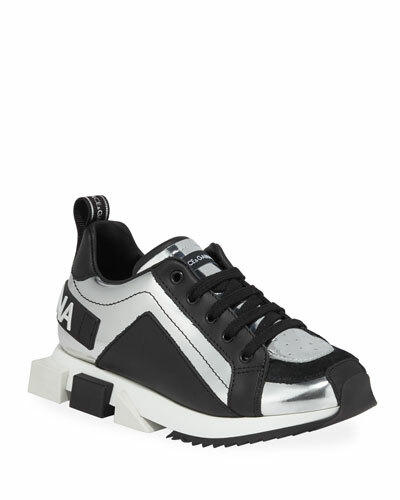 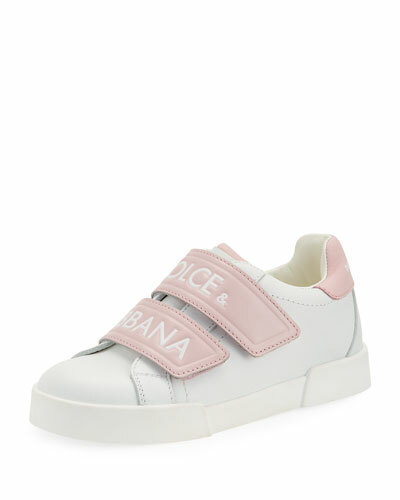 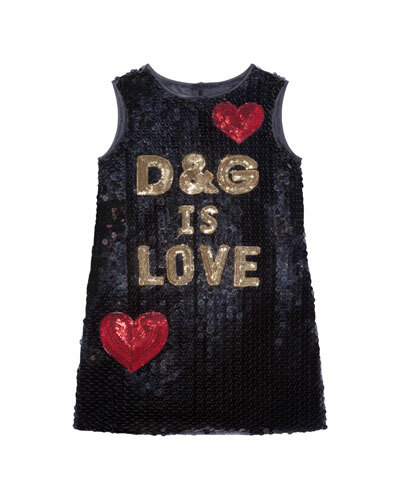 Playful and irreverent, the range stays true to all the other Dolce & Gabbana collections. 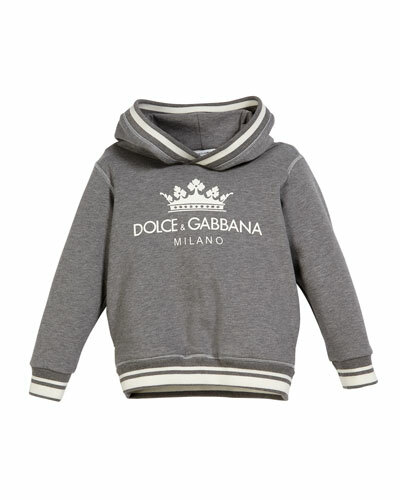 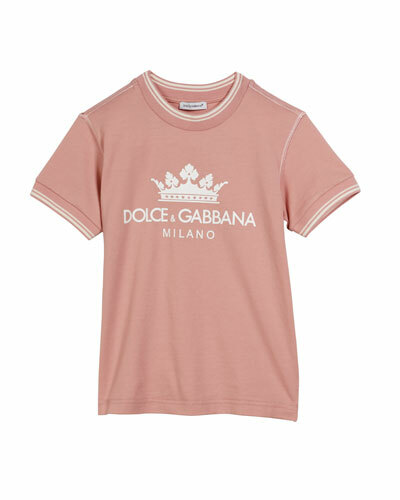 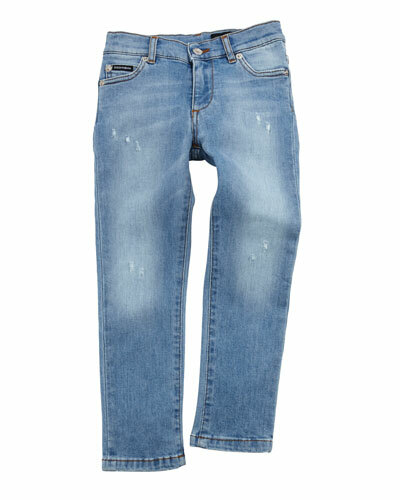 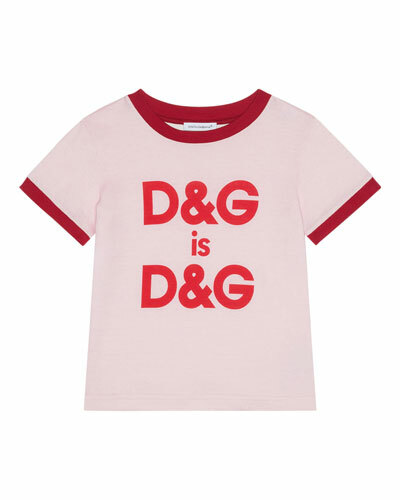 Neiman Marcus offers a great selection of Dolce & Gabbana kids clothing in attractive designs and styles.